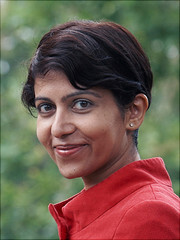 Professor Amrita Narlikar is the President of the GIGA German Institute of Global and Area Studies and Professor at the University of Hamburg. Prof. Narlikar came to Hamburg from the University of Cambridge, where she was Reader in International Political Economy and the Founding Director of the Centre for Rising Powers. She was a Fellow of Darwin College, Cambridge. She also has intellectual roots at the University of Oxford, where she read International Relations at Balliol for her M.Phil. and D.Phil., and also held a Junior Research Fellowship at St John’s College, Oxford. For a complete and regularly updated list of Prof Narlikar’s publications, please refer to the corresponding section on the GIGA website.